After yesterday’s review of 2012, it is time to set the bar a little higher for 2013. Let’s soar to new heights! I will post daily during the work week to this blog in order to give back to the SQL community. Last year I had planned to blog 365 days of the year, but there were many days when the content was less than stellar because I was on vacation, holiday, or simply having fun with my family. I think this year if I limit it to the days that I am actually working on SQL Server then the content should stay consistent. I will spend time daily helping people on twitter, SQL blogs, and various SQL-related websites such as SQL Server Central. This was hard to do last year but it is still a noble goal and thus should be listed. I am setting a goal of 600 followers on Twitter which would increase my existing followers 33%. I will attend three to five other User group meetings, such as the Tampa BI group, Orlando’s MagicPASS, or the Tampa VMUG. I will attend at least one other event that interfaces with SQL Server such as the Orlando IT Pro Camp. I will attend at least one formal Microsoft SQL training course this year. I will attend every SQL Saturday offered in the Orlando, Tampa, and Jacksonville areas. I would also like to attend some others, if possible, within driving distance. 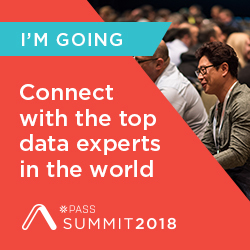 I will attend the SQL PASS Summit in Charlotte. I will submit to at least two different SQL Saturday events in addition to SQL PASS. Hopefully, I will get the opportunity to present somewhere in 2013. I will be in better physical shape in time for Summit 2013. I will lose 100 pounds by the end of the year. I will continue to take at least one to two classes a semester online in order to complete my degree in Business Administration from the University of Florida. All those Engineering and Computer Science classes I took 20 years ago are not relevant today and I would like to possibly return to consulting in five or ten years and that degree would be more beneficial in that long-term goal. 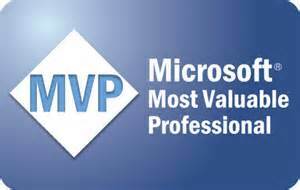 I would like to become a Microsoft Certified Master within five years. With today being the first day of 2013, I thought it would be good to review my goals for the year and see where I finished. I will italicize the updates at the end of each of the original items. I will post daily to this blog in order to give back to the SQL community that has helped me so much over the years. I published 364 blog posts for the year! It was difficult on holidays and weekends, but I am glad that I persevered through it. It became a habit and I think my writing improved because of the effort. I will spend time daily helping people on twitter, SQL blogs, and various SQL-related websites such as SQL Server Central. I have tried to do this regularly, but it is harder than blogging daily. I thought this one would have been easier. I simply did not have enough hours in the day. I am setting a goal of 300 followers on Twitter which would double my existing followers for 2011. I am at 465 followers today, thanks everyone! I will attend at least ten of the twelve Tampa Bay SQL Server User Group meetings. In the end I only missed one and it was due to illness, goal accomplished! I will attend three to five other SQL User group meetings, such as the Tampa BI group or Orlando’s MagicPASS. There is a new Hillsborough SQL Users Group that I have attended every session. However, I did not get the chance to attend MagicPASS or the BI group this year! I will attend every Tampa VMWare User Group meetings which occur quarterly. I am 100 percent on this one (mainly because there hasn’t been a meeting since December of 2011! There is hope as I believe there will be a meeting in February. I will attend other events that interface with SQL Server or VMWare such as the Orlando IT Pro Camp scheduled for January 21, 2012. I missed the IT Pro Camp. I will attend one Microsoft SQL training course this year, but I cannot say at this time what that course will be as that will depend upon my employer . I would like to attend Course 2778a (Writing Queries Using Microsoft SQL Server 2008 Transact-SQL) and Course 6234 (Implementing and Maintaining Microsoft SQL Server 2008 Analysis Services. I did even better than that, I attended a SQLskills.com class and I am also attended the PASS Summit in November. I will attend every SQL Saturday offered in the Orlando, Tampa, and Jacksonville areas. I would also like to attend some others, if possible, within driving distance. I am already registered forSQL Saturday #110 in Tampa on March 10, 2012. I missed the Jacksonville SQL Saturday but made up for it with Pensacola. I attended the March one in Tampa, the one in Orlando in September, but missed the BI one in Tampa in November due to the flu. I will volunteer to help with at least one SQL Saturday this year. I volunteered in March and spoke in June and September. I would like to attend SQL Rally in Dallas this year and I would definitely like to attend the SQL PASS Summit, but with one child in college this year and two more entering over the next two years, I may have to pass on this one for a couple of years until they are situated and my bank account returns to normal. I did not get to go to Rally, but I was able to attend the Summit and I cannot imagine myself ever missing that event in the future no matter what the cost! The friendships made were priceless. I will continue to take at least one to two classes a semester online in order to complete my degree in Business Administration. All those Engineering and Computer Science classes I took 20 years ago are not relevant today and I would like to possibly return to consulting in five or ten years and that degree would be more beneficial in that long-term goal. I am still on track here and was accepted to return to the University of Florida for the Summer of 2013. I will continue SQLAndy’s recommendation to meet at least three people at every SQL event. This is a great recommendation for networking. It is hard sometimes to break out of our introverted ways. I have been working hard to do this every time and it pays off so much so that when I went to the Summit I had no trouble walking up to strangers and introducing myself. I will attain my VMWare Certified Professional 4 certificate this year for VMWare. This did not happen as VMWare came out with a new version before my window closed to take the exam. Now I will have to take a version 5 class in order to take the exam. 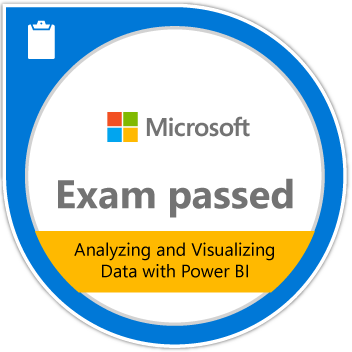 Personally, I am not that interested in pursuing this certification anymore choosing instead focusing primarily on SQL Server. I would like to speak somewhere this year, my local SSUG, VMUG, or even a training session at work. I need to get over my fear of public speaking. 2012 is the year to step it up and take it to another level. I have spoken at my user group and SQL Saturday and it is addictive. This has been a great year for me, and I hope it has been for you too. Enjoy. The year 2012 was a great year for me in many regards, but today I want to acknowledge that I read fifty books this year! Reading is great for your mind and your soul so this year I made a concerted effort to read more and I believe this is the most books that I have ever read in a year. There was a few books on the list that I have read before, but they were read so long ago that it was great to re-read them and experience them all over again especially the Hobbit and A Stranger in a Strange Land. I read and enjoyed them as a child. In addition, a few of the Star Wars books I read in my younger days but I would like to read the entire Expanded Universe and I thought it was a great refresher to read them all at once. Enjoy! After attending SQLAndy’s SQL Saturday session on “Building a Professional Development Plan” a couple of months ago, I have been determined to develop my own Professional Development Plan. Over the next week or so, I will be formulating this plan here on this blog. At this point, I have a few goals for 2012 to begin the discussion. Stay tuned as we formulate this plan…. I would like to personally wish you and your family a safe and Merry Christmas and a Happy New Year. I hope 2012 is especially productive and that we all have a very #SQLAwesomeness year! I look forward to seeing you all at various SQL events in the new year! I would also like to thank everyone in the SQL Community for everything you do throughout the year to help spread the SQL love, it is appreciated! Finally, let the Big Gator Growl!